How Much Power Does This Use? I got a really good deal on an HP LaserJet 4 Plus. Really rugged, good print quality, and about the cheapest printing available. But how much electrical power will this beast require? 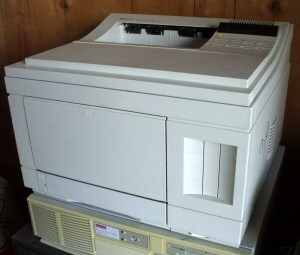 A sturdy old HP LaserJet 4 printer. A clamp-on ammeter cannot measure the current flowing through a typical power cable. The meter works by electromagnetic principles (and is a really cool demonstration of Maxwell's equations! ), but it must be placed around a single conductor. If you place it around a power cord, the opposite but equal currents in the hot and neutral lines cancel out. DANGER — Do not read beyond this point. Your lawyer would not approve. I finally built the tool I have needed from time to time. 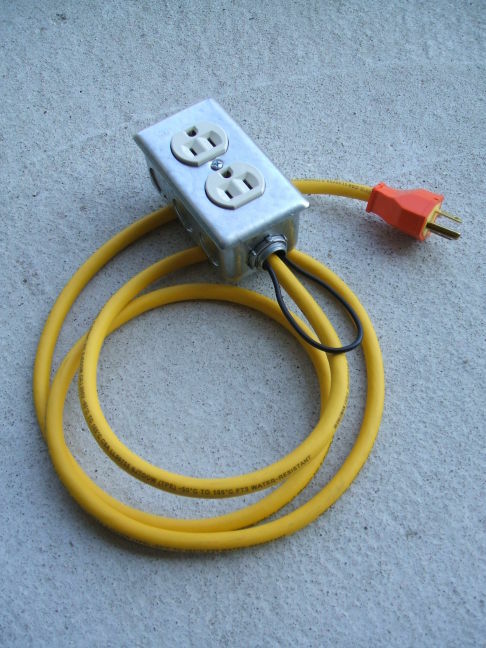 I built what is effectively an extension cord — a plug and heavy cord leading to a duplex outlet in a box. 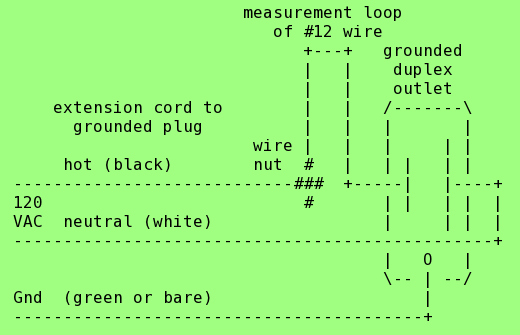 However, the hot connection (the black wire that connects to the shorter slot in a US outlet) is connected to a loop of #12 insulated wire that loops outside the box and back in through a cable clamp that secures both the loop and the power cord in place. The ammeter can be clamped around the loop to measure the current drawn by whatever is plugged into that outlet. 6.6 A While the fuser is running. About 30-45 seconds during its warm-up phase, and while putting toner on paper. And, for 1-3 seconds from time to time during its "Ready" state. 0.5 A Just running the motor(s), while feeding paper. 0.2 A While idling in its "Ready" state (but not pulsing the fuser), and continuously while in "Powersave" mode.